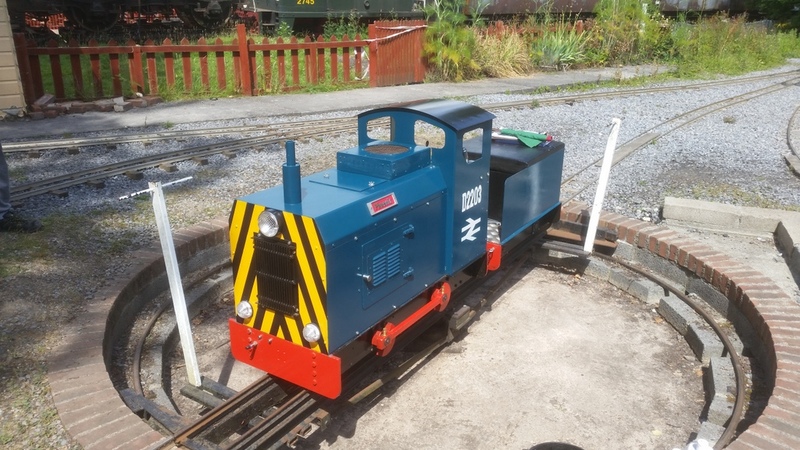 The SDMR was formed towards the end of 1992 and saw its first public trains run in the Spring of ’93; at this stage the line was only a few hundred yards long and entailed an end-to-end operation with propelling in one direction from the station beside the shed. 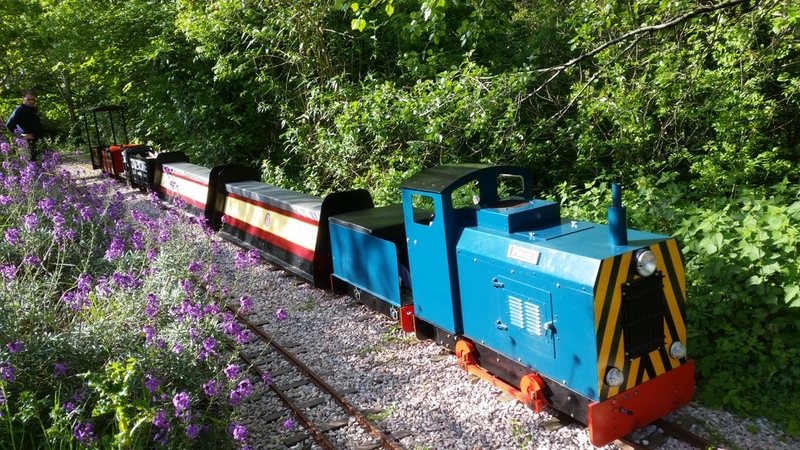 However, the site at Buckfastleigh has boasted miniature railways of different gauges in the past before its current existence, starting back in the late 1970s when the Manning Wardle locomotive Yeo ran around a 7 1/4 gauge line. Evidence of this previous history can be seen at one of the foot crossings near the Rose Garden, where there is another rail embedded in the crossing laid to 10¼ gauge. 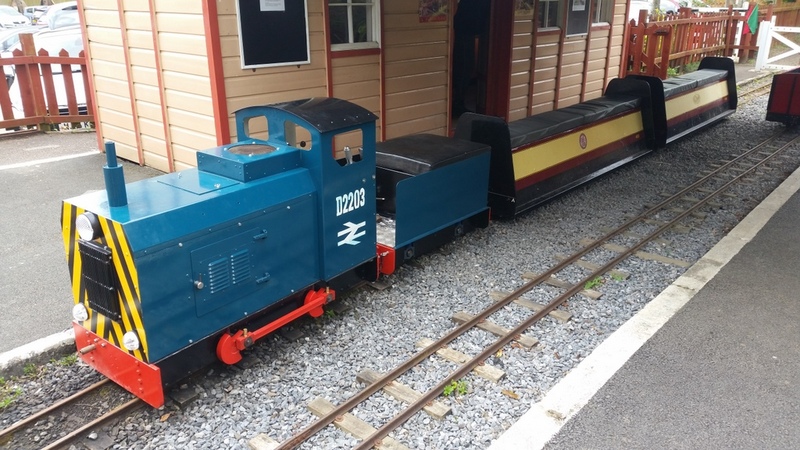 A journey today lasts between 8-10 minutes and takes passengers on a ½ mile trip around the award-winning grounds of Buckfastleigh station on the South Devon Railway. Departing from Buckfastleigh Junction station we pass through the Patio Garden where friends & family wave good-bye, then traversing the level crossing and running parallel to the River Dart for a short distance before entering Riverside Tunnel; on certain days we are joined by the Riverside Shuttle running alongside us as far as Otter Halt. Beyond the tunnel, crews have to work their engines hard to climb the steep gradient to Dartbridge, one of the highest parts of the line, thrown into this is a fearsome S-bend which really tests both engines and their crews. 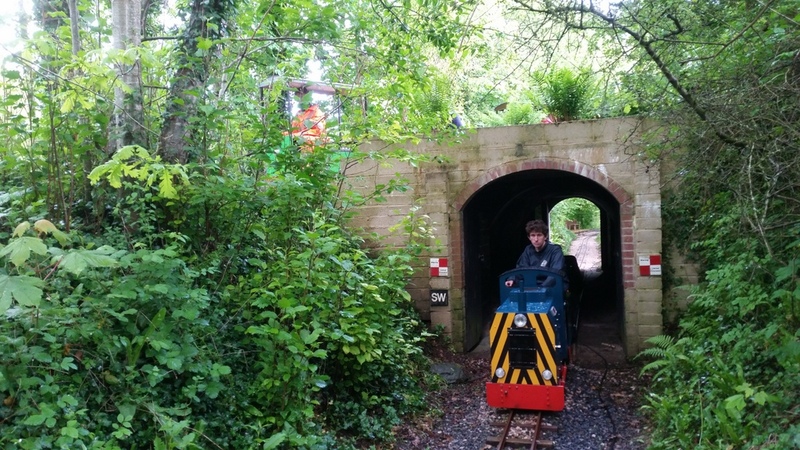 As we reach the half-way point, to the left is the SDR’s new carriage shed built in 2017, this is lost to view as we now turn south again to head back to the Junction. It is at this point we reach the newest part of the line, Dartbridge Loop, which was completed during the winter of 2016-17, and enables the SDMR to run two trains in opposite directions simultaneously and allows us to run more trains at busy times. Should we pass another train here, keep an eye out for the crews exchanging tokens to allow them to proceed onto the next section of the line. With the loop behind us, another climb ensues to allow the line to cross over the top of Riverside Tunnel; if timed right when to two trains are running you will see the second train disappear into the tunnel as we cross over it. The train now has a brief view of the shed yard across the car park as we head towards the level crossing, with the all-clear from the crossing keeper it is time to descend back into the gardens one of our steepest gradients, passing the junction to the Shed Branch and entering Garden Cutting and finally rounding the curve back into Buckfastleigh Junction Station and journey’s end. 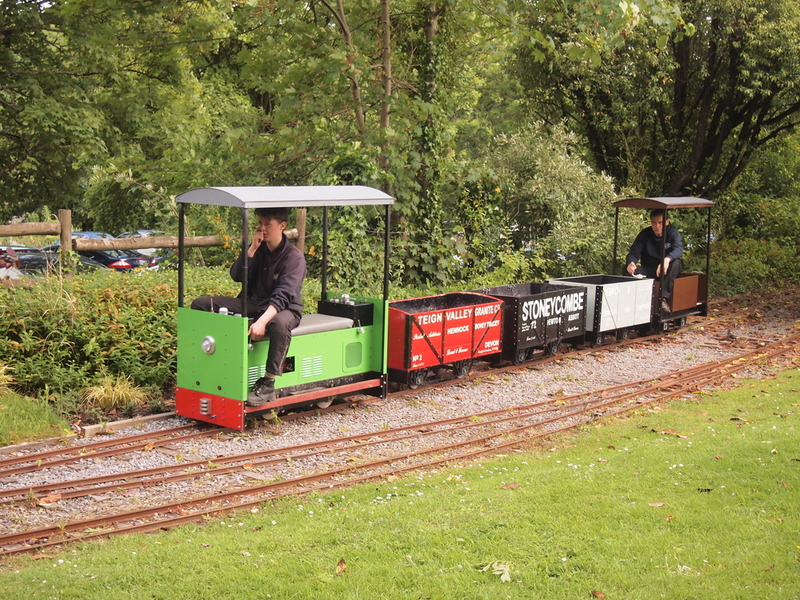 Traction on the line has always been varied, ranging from steam to diesel/petrol by means of electric and even pedal-power! 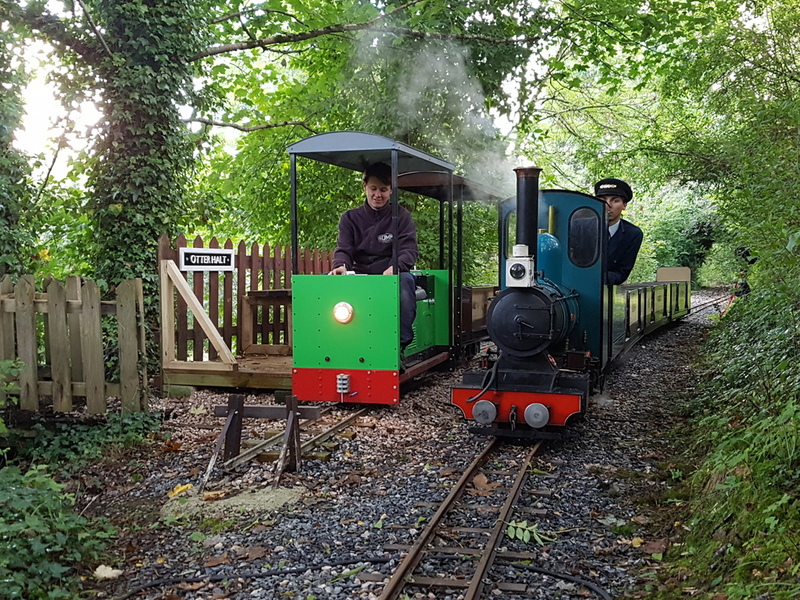 At present the two operational locos are both petrol powered, No.3 ‘Phoenix’, the stalwart of the fleet, and a tram engine built by one of our members. Waiting to return to traffic are resident Hunslet No.8 ‘Idrys’ & petrol powered No.2, alongside two new build locos, a Class 25 & a T2 steam loco.